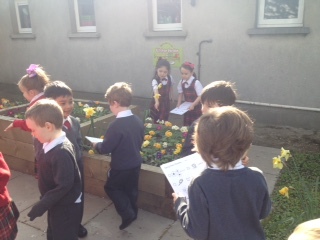 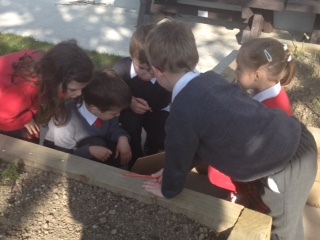 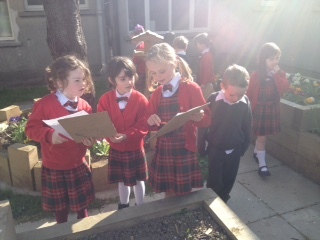 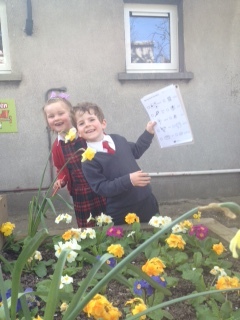 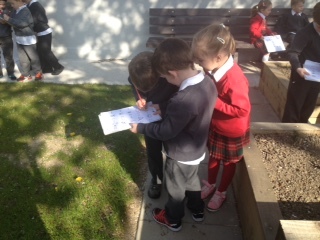 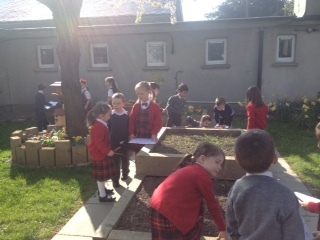 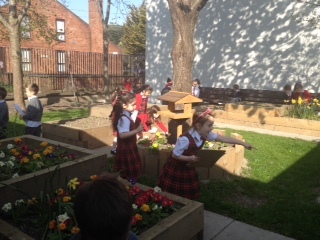 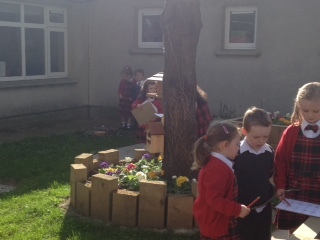 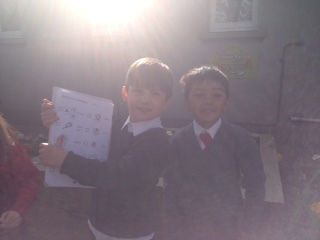 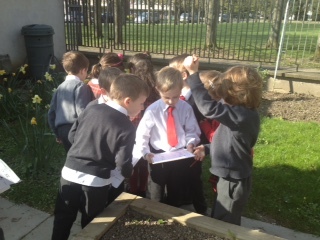 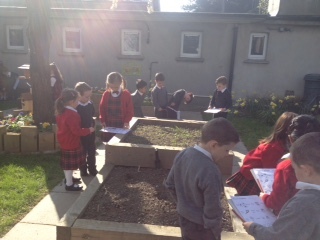 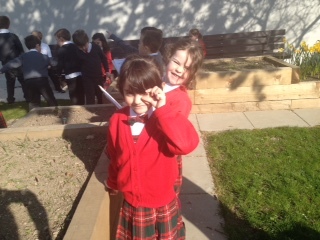 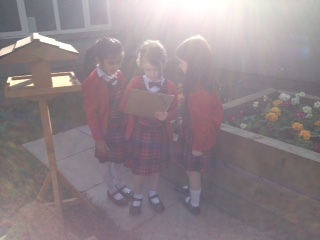 We enjoyed a sunny spring hunt in the garden. 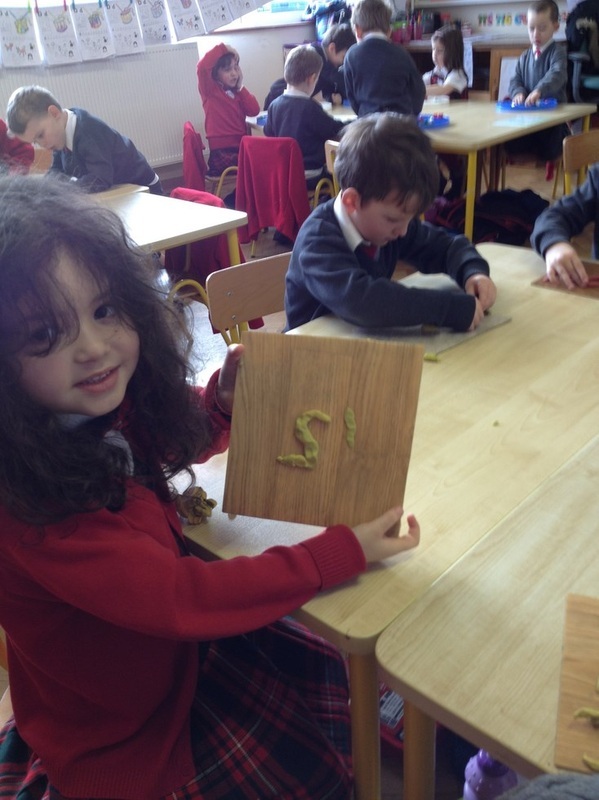 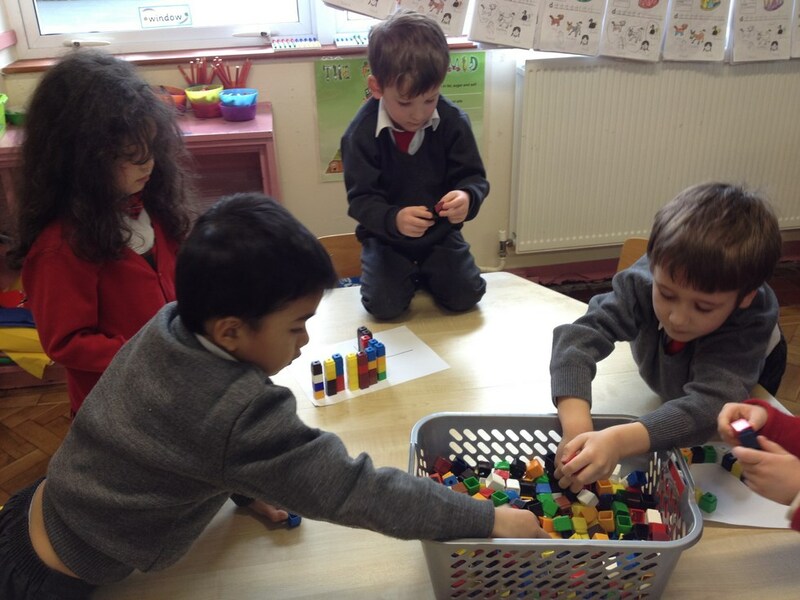 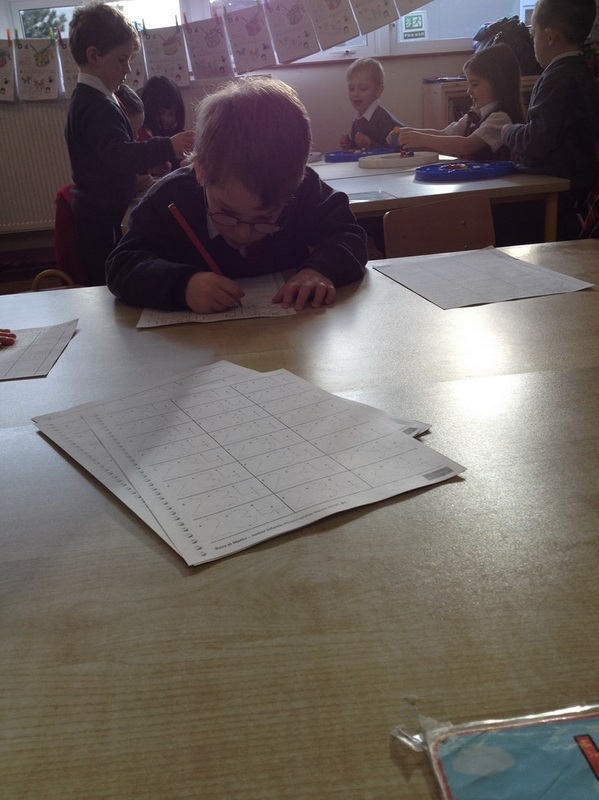 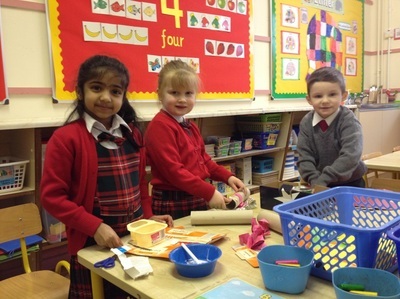 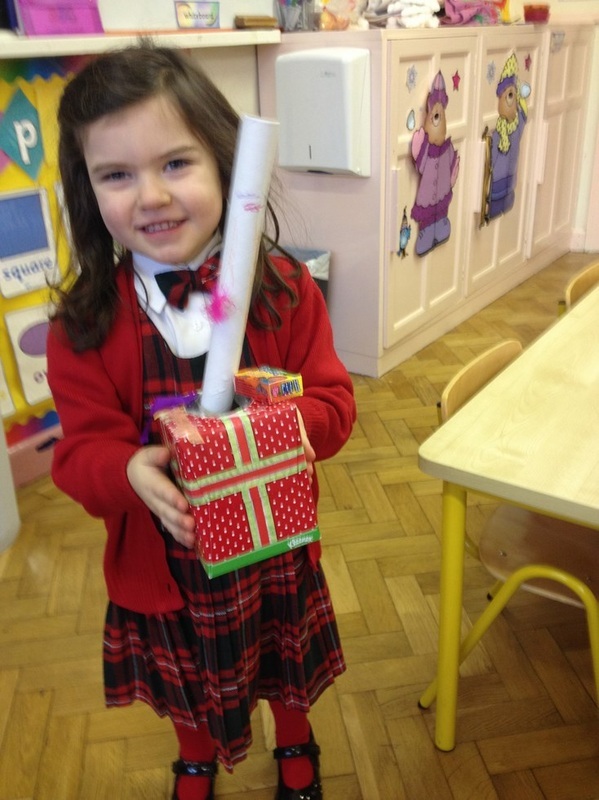 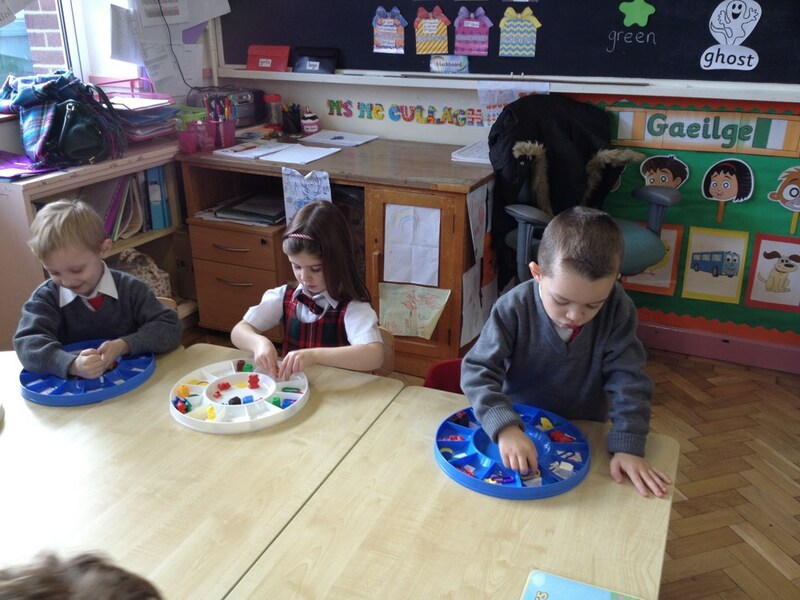 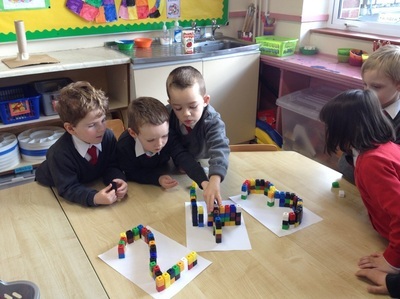 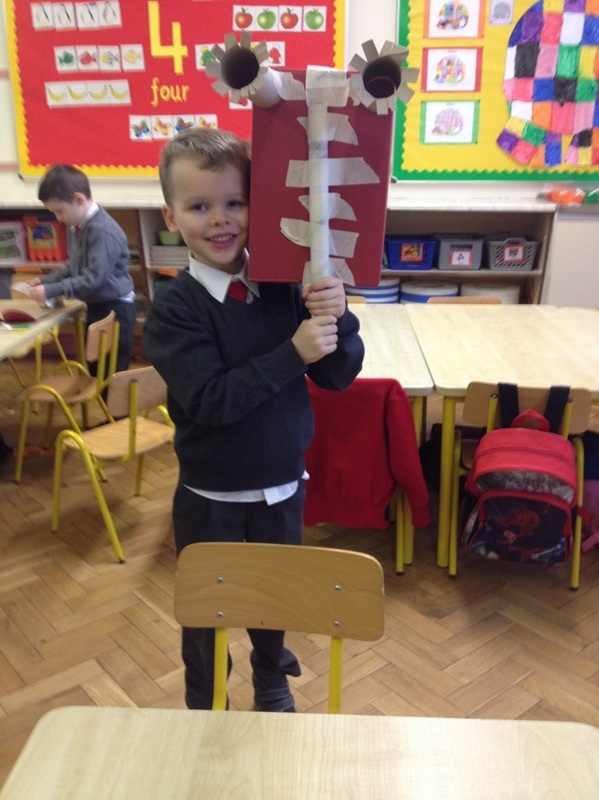 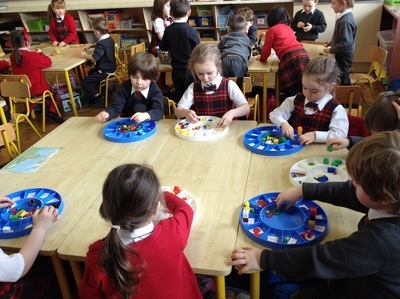 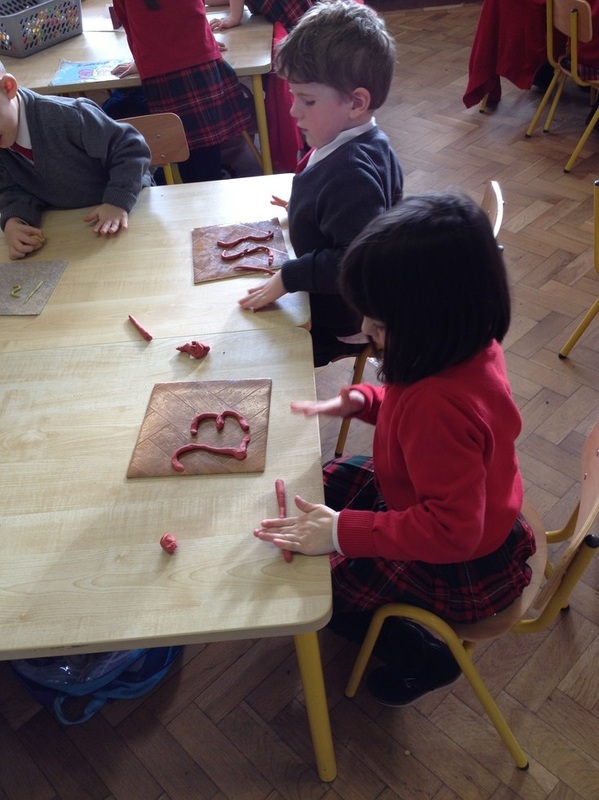 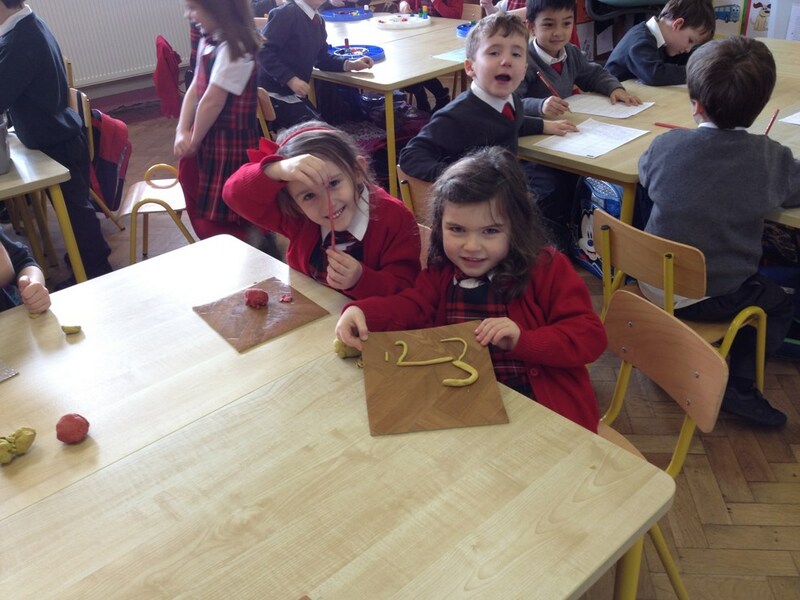 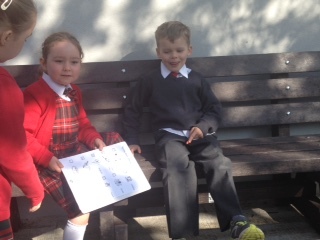 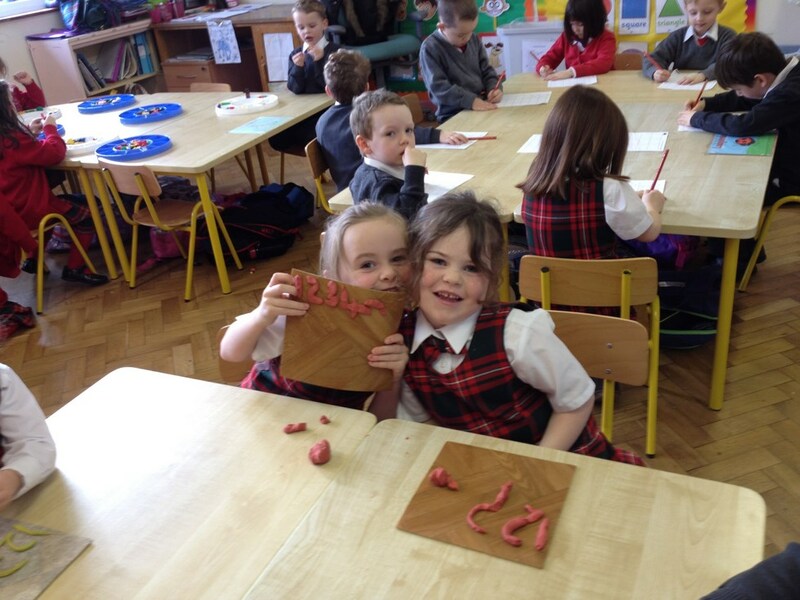 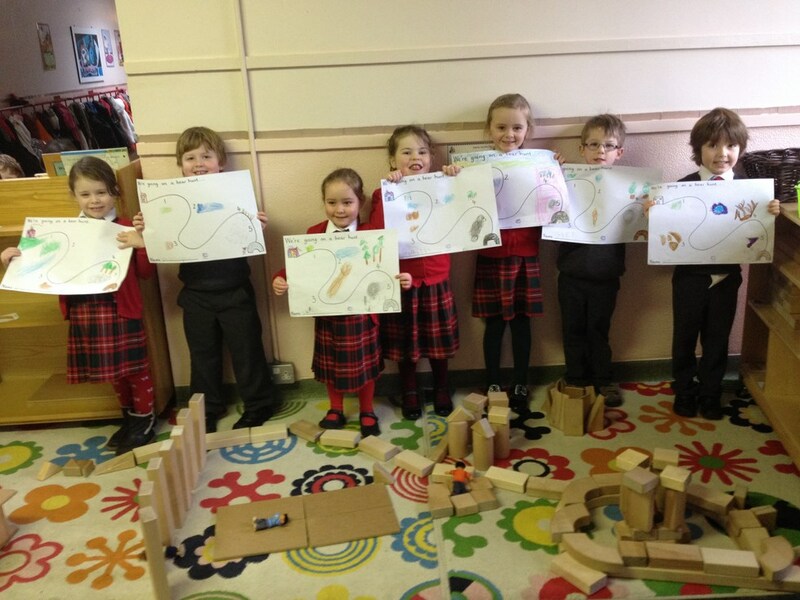 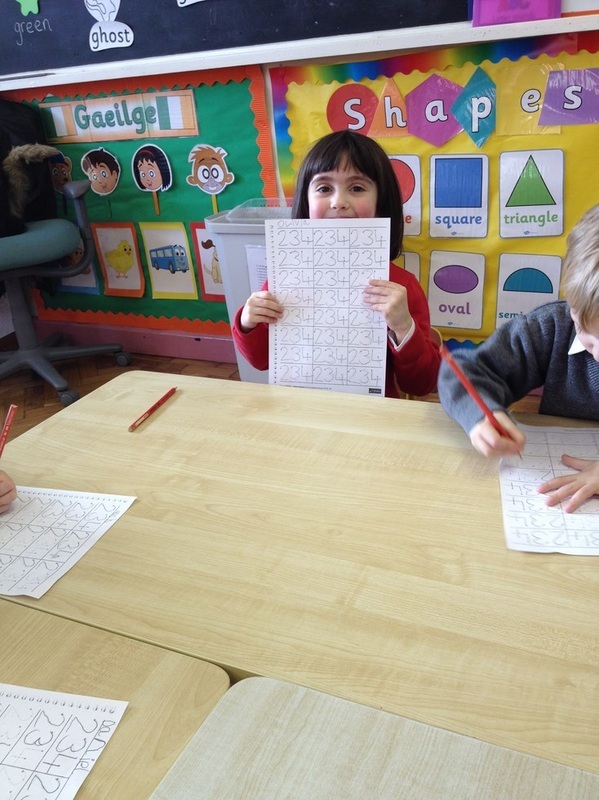 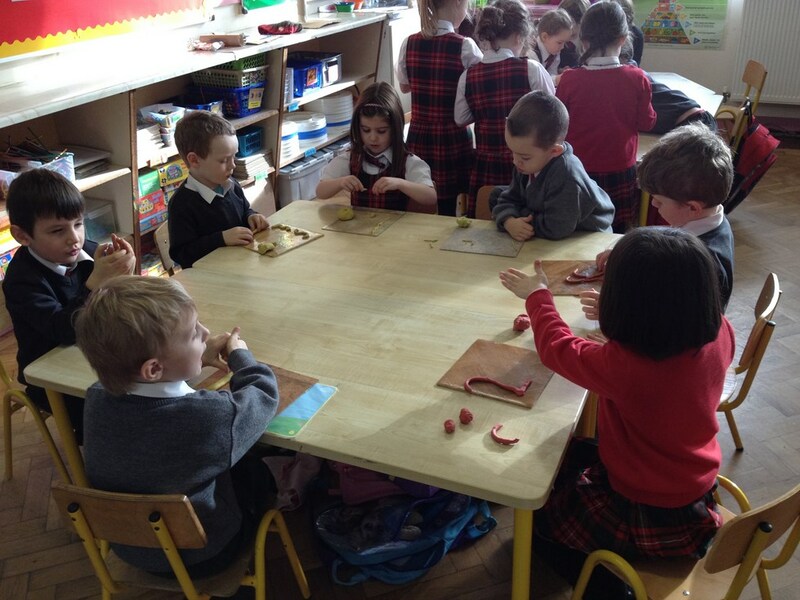 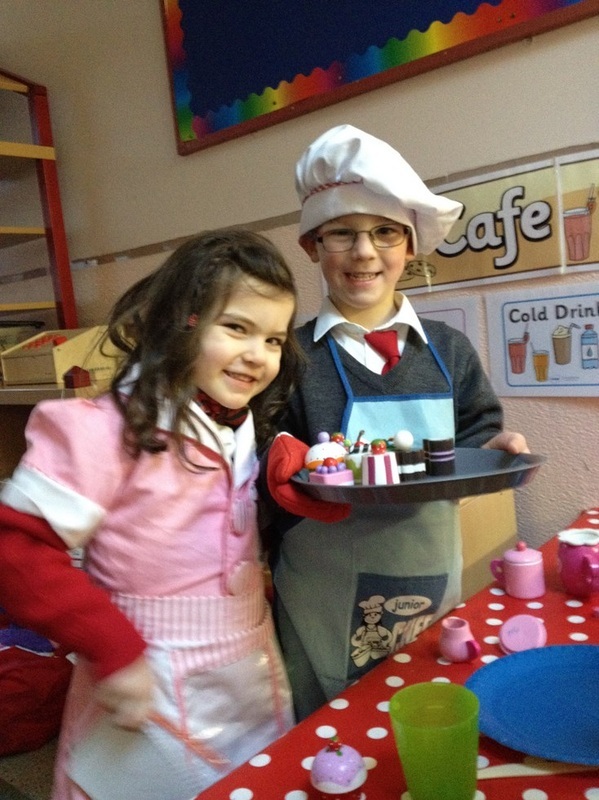 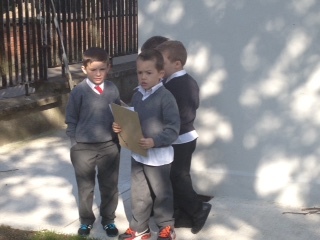 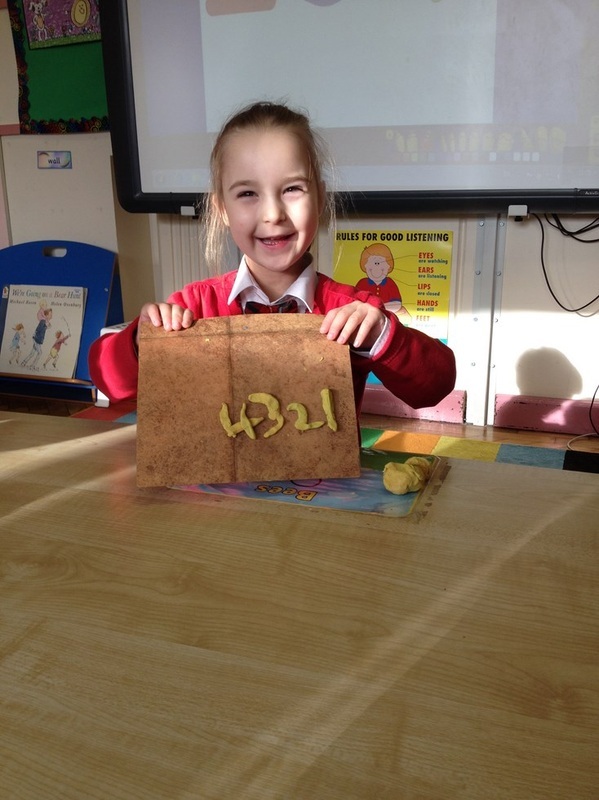 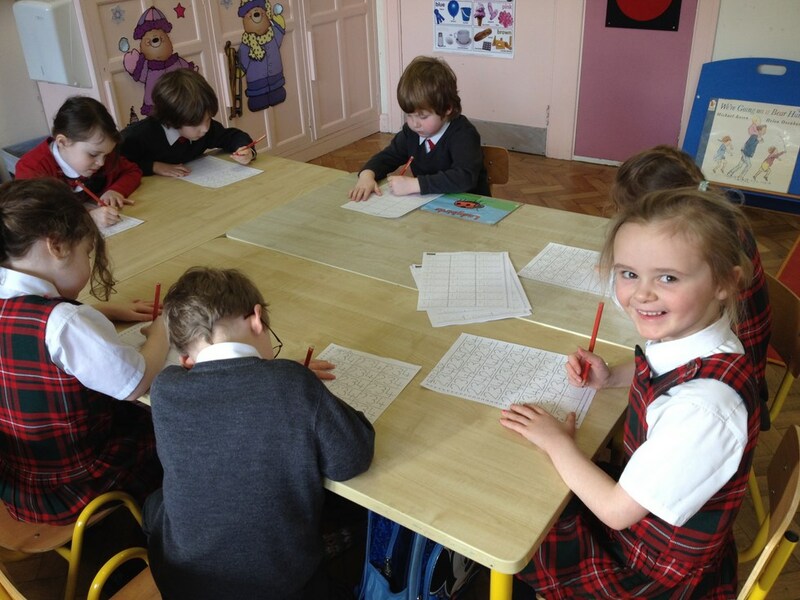 Room 1 have been having lots of fun during Aistear time this month. 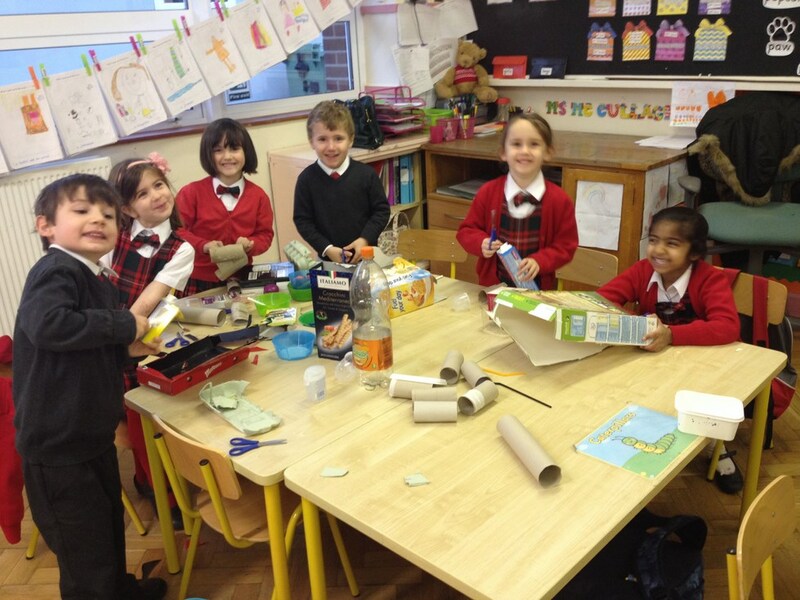 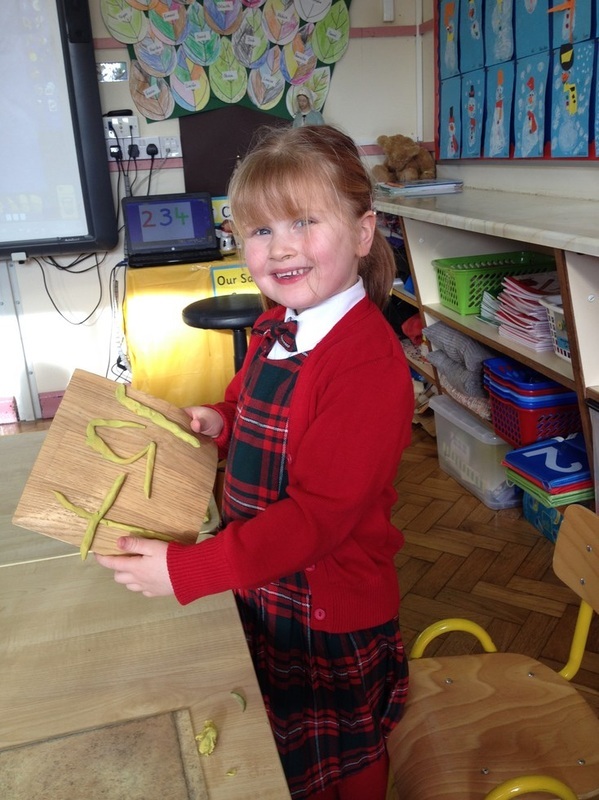 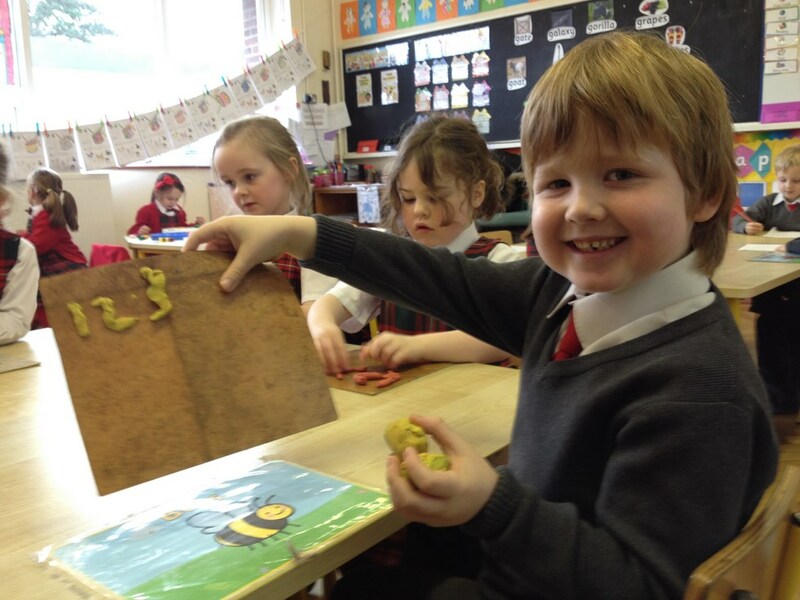 We've been busy running our café and getting creative with junk art and blocks. 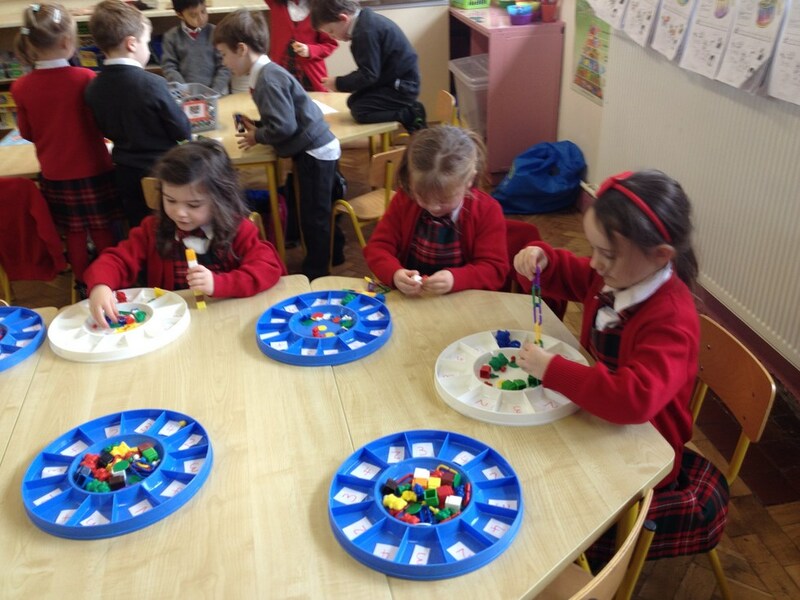 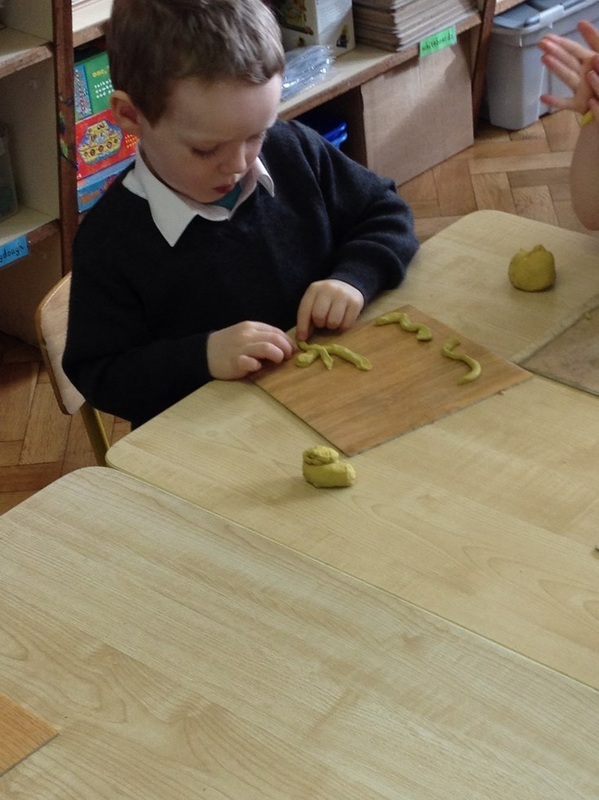 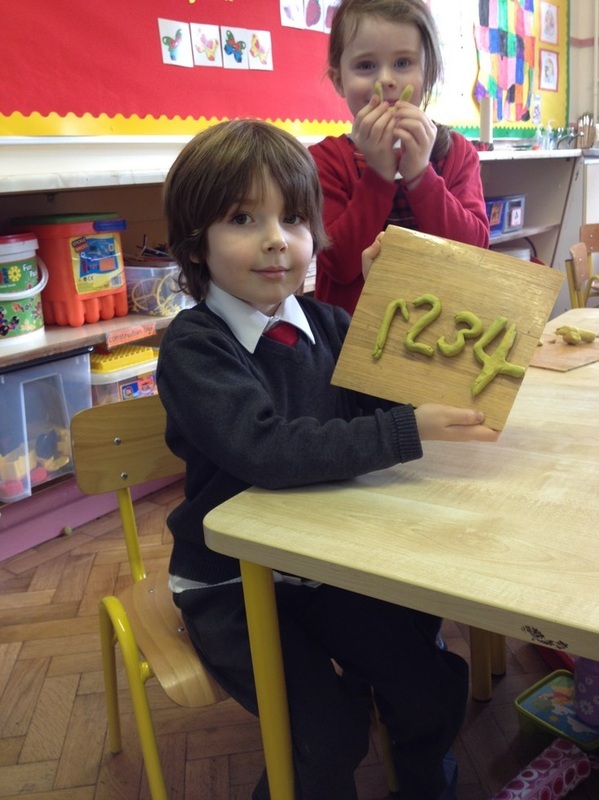 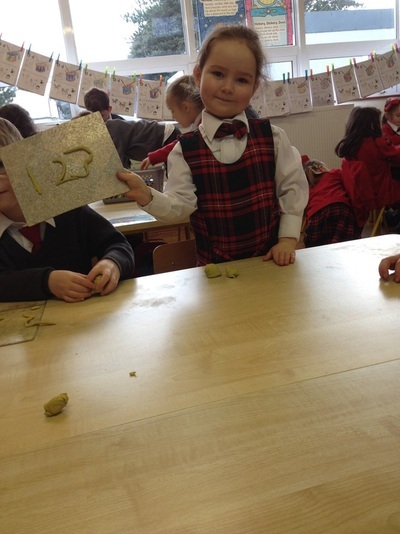 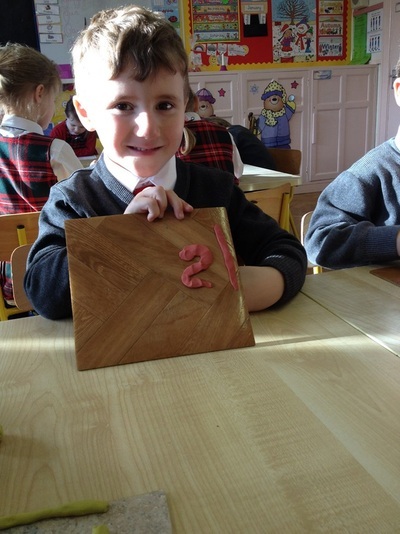 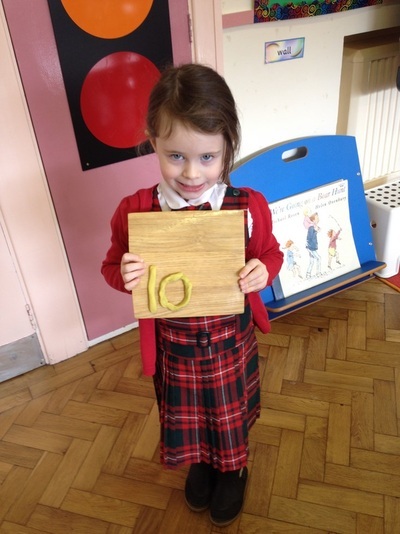 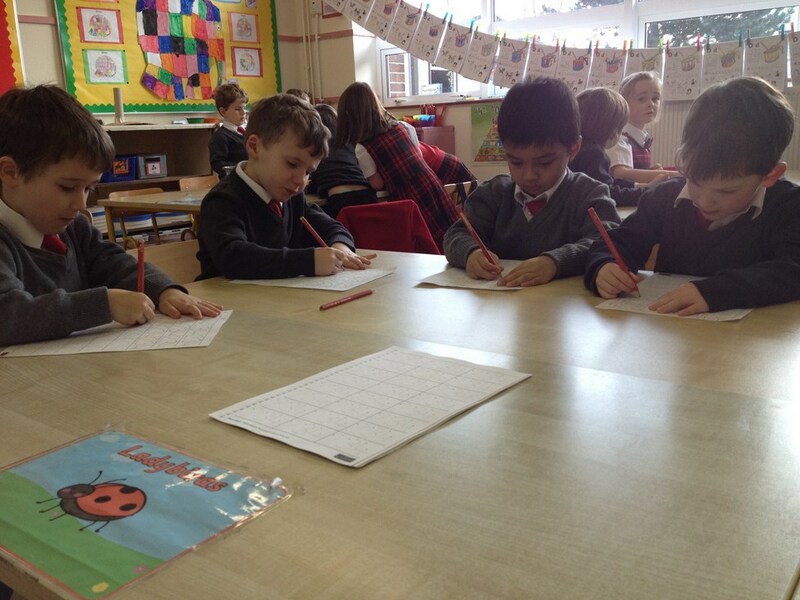 We've also been enjoying our number activities - making towers, playdough numbers and sets.